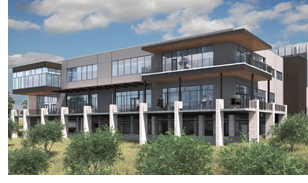 ​​​​​ ​AUSTIN – The Junior League of Austin’s new 48,000-sf community center will be completed by the end of this summer. The two-story facility at 8501 Bluffstone Cove will house Junior League programs and events and serve as a function hall for the community to rent. It has been under construction since January 2018.